Why visit New York ? 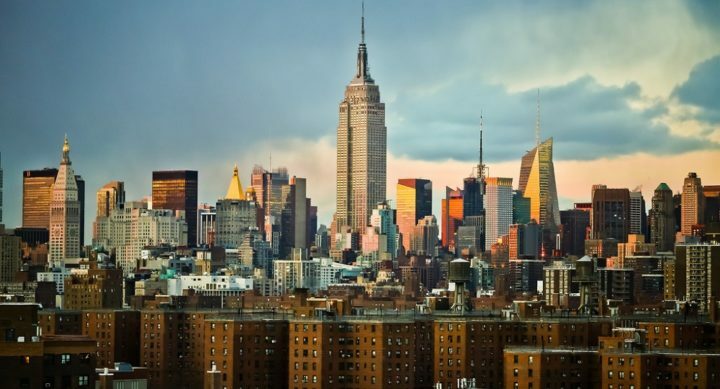 New York or NYC, often referred to as The Big Apple is the most populated and visited city in the United States. It is the cultural capital of the country where a stay of one week is not even enough to discover all the things it contains. Manhattan alone brings together the city’s historic, administrative and economic centre. In addition to its cosmopolitan aspect, which brings together all the diversities that a city can offer, the possibilities of activities seem inexhaustible! Where the twin towers once stood above Skyline is now the One World Trade Center and nearby Ground Zero. Take a little detour through Wall Street, take a yellow taxi and drive across Broadway and Time Square, climb to the top of the Empire State Building or across the street at the Rockefeller Center to see Central Park, the city’s green lung. Of course, you will take a ferry to admire the Statue of Liberty and learn more about New York City’s history at the Ellis Island Museum. In fact, you may already know New York through TV series or movies, but it’s always better in real life… You’re tired of visiting? Go to a Knicks game, watch a Broadway show, have a drink in Soho or Brooklyn, or on one of the rooftops in a building. Save a few dollars for shopping and bargains. Explore the world’s most famous neighborhoods; try out international gastronomy… New York City will appeal to anyone who wants to travel there. To help you to plan your trips in New York, we listed visits and places of interests to do in New York. Where to stay in New York (appartments, hotels, youth hostels,...) ? To enjoy your stay in New York, it is necessary to pick the right location to stay. We give you here our best tips to know in which neighborhood to sleep and choose your accomodation accordingly ! Want to see New York as a local ? To discover hidden places and to enjoy your stay away from mass tourism? The fast lane is here !